Time for another MEDIA MONDAY! 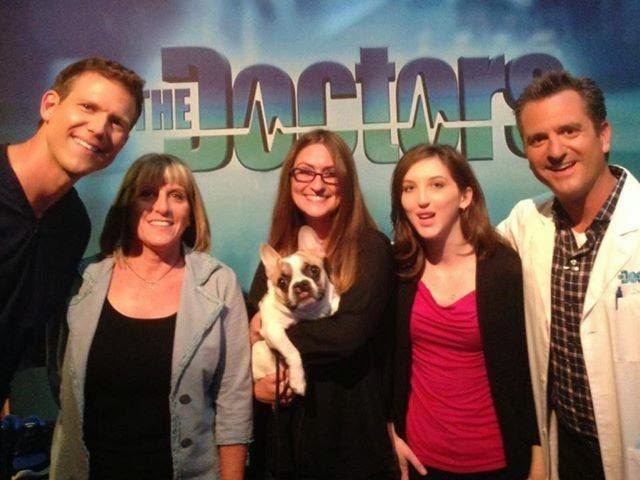 Last week, Lindsay Condefer & our favorite Ambassadog, Lentil, surprised Alison & Rachael Morrissey on The Doctors! The Morrisseys originally connected Lindsay & Lentil with CCA Kids! They finally met in person for the first time! We loved this Big "Lentil Bean" Surprise and thought you would, too. Of course, thanks all around to these amazing folks. Click the photo to watch the video link. Continue to send your media mentions to ccakids@gmail.com.